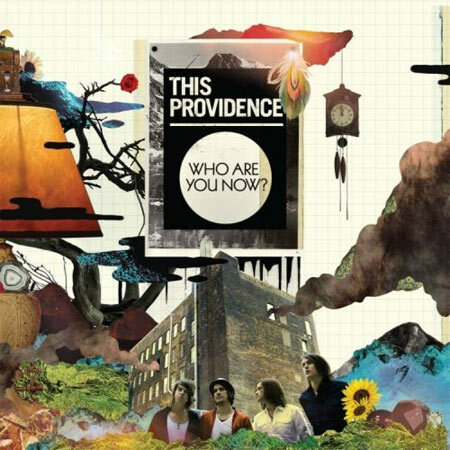 This Providence's Who Are You Now? starts of with the intro called "Sure As Hell" and right away I thought "oh no, this can't be good." And sure enough, there was a bit of swearing, and unrealistic views of love. Such as "as long as Hell is still burning, I'll still want you back." I think it's romantic that This Providence uses analogies like that, but the swearing is not needed. There are other words such as "d*mn," as well. Not the best way to start off the record. The second song, "Letdown," is the quite clearly the main track of the album. It's the story about a guy and a girl in a relationship, and how he didn't measure up to her standards, and it's sort of one of those songs you listen to after you get dumped if you want to stay feeling down. "Waste Myself" is another great song, about how he is sold out for a girl, and is putting to much energy into the girl. The songs "This Is The Real Thing," "Keeping On Without You," and "Squeeking Wheels And White Lights" are all amazing songs, with each telling a different story of love. This Providence does a "renovation" of My Beautiful Rescue, which is another main song on the album that everyone will enjoy. It's a remake from their previous album, and personally I like the newer version better. It's the only track on the album that refers to God rescuing the character of the song. The rest of the album is all very different with sound. Musically, they sound like a higher pitched version of Between The Trees. This album is definitely repetitive with the content of the song, but living in today's culture, I think that a lot of "non-Christians" will enjoy it. That's not to say that "Christians" won't, but this album is clearly meant for mainstream listeners. If you want love songs, listen to this album. But for people who are looking for "Christian music," I would stay away from this one. If the album also didn't have the swearing at the beginning, it would be an amazing album. For the dieheart This Providence fans, definitely pick up a copy!